The G casino brand is a famed brand throughout the entire United Kingdom gambling market. Its ability to deliver seamless gambling solutions and worthy customer services makes casinos operating under the G label a worthy destination any time. You can enjoy this same quality while in Nottingham by visiting the local Grosvenor Casino. Located by the Maid Marian Way, the casino is easily accessible by public transport or driving your own car. With its perfect combination of available games and refreshments, the Grosvenor casino is definitely a true destination to marathon gamblers. With its doors open throughout the year apart from on 25th of December, gamblers can theoretically sit in this casino for almost a full year. Since it is a multipurpose casino, the gambling floor features a myriad of games, enough to keep your basic gambling needs catered for. 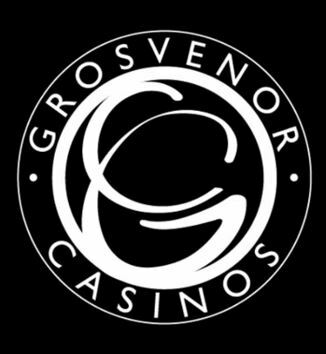 With its perfect poise over modern and classic casino games, the Grosvenor will give you both the throw back flavour and a taste of what the modern day gambling world has on offer. The casino has 10 American Roulette tables, 11 Poker tables, 4 for Blackjack and 2 Casino Stud Poker tables. Throw in its impressive 38 game machines that offer a variety of slots games or electronic roulette and you have casino that will never cease to amaze. 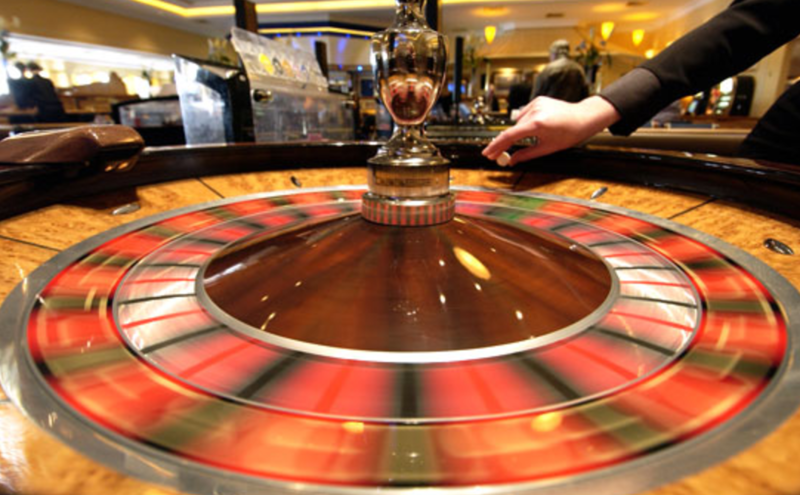 To the average or less choosy gambler, the Grosvenor casino’s game variety is more than enough. Since the tables start from the very heart of the rooms and the gaming machines are flush to the walls, gamblers have more space to mingle and move from one fun hub to another throughout the visit. The restaurant offers a number of delicacies. An ample mix of traditional British food will remind you that you are in Nottingham, the heart of the British whilst the touch of European and Eastern delicacies damps down any possible wisps of aristocracy. With such a rich menu, the casino’s restaurant is mostly flocked and you might have to book in advance especially if your visit is on Friday or Saturday. The silent but friendly sidebar offers a wide range of cocktails, wines, spirits and beers. The ambiance makes it a perfect place to cool down your nerves before an important game, take a break after hours of solid play or soothe your nerves after a span of foul luck in the casino. With such impressive hospitality, game options and the possibility of occasionally catching a high-end tournament, the Grosvenor Casino in Nottingham is a true want-to-be place for any passionate gambler. Visiting the casino on Fridays or Saturdays could be the fanciest night out event in Nottingham. With all the food, drinks and games, taking a night, or perhaps a two nights, end to end, in this casino is not unheard of. 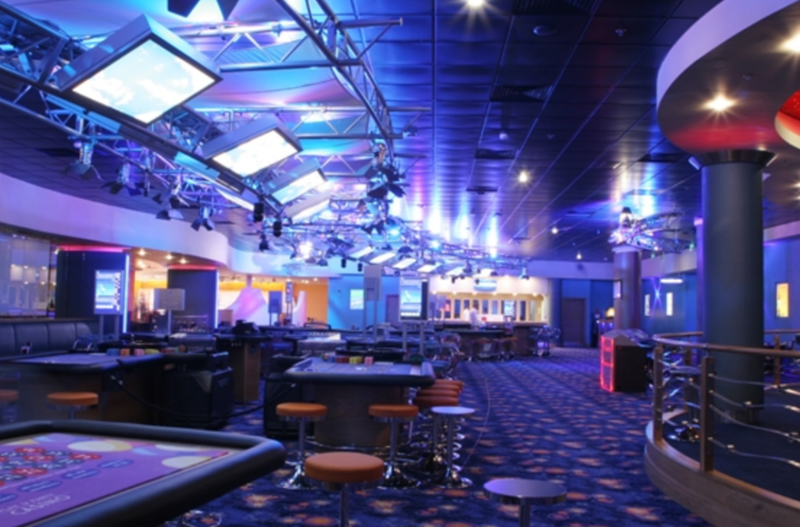 The ample parking and accessibility of the casino makes it a fancy impromptu destination. Since you do not necessarily have to be in for the games to enjoy, you can perhaps bring in your family for a meal at the restaurant or perhaps a bunch of friends to catch up over a few bottles of beer. It is a pity there isn’t a sports bar. But we are not complaining, are we? Over the past few years, people have increasingly taken a liking to online-based solutions. A great number of things, from shopping stores to casinos have taken to the trend in order to provide the customer with that he or she loves most. However, the growth to a virtual world has not deterred the growth of physical gambling – at least not in Nottingham. Even though the better part of the busy gambling community now prefers catching games on their mobile devices or computers, the fact that Nottingham has an ample share of casinos is proof enough that brick and mortar casinos still got it. The latest addition to the existing list of casinos in Nottingham is the Alea Casino Bar and Restaurant. Its name could be taken to tell a lot about what the casino does. The restaurant features magnificent chefs and excellent customer services. For a meal, this casino will offer more than what you would find in a regular casino restaurant. The bar, on the other hand, has its own ample share of drinks and champagne. It is an excellent place to hang out at after a game or whilst waiting for a meal to settle. Since it is part of the LCI group, you should expect uttermost competence and excellent levels of honesty and customer satisfaction in the casino. With its 20 modern gaming machines and an additional 40 electronic roulette joints, the Alea casino is a true multipurpose casino that will keep you busy at any time between its noon and 6.00am operational hours. In addition to this, the casino features an elaborate poker room whose fame has captured the attention of a variety of poker tournaments. Visiting one of these tournaments or perhaps calling up the casino to organize for your own should sate your desire for poker games. Its ability to offer a variety of poker game tastes makes the Alea casino tasty to most poker lovers. The most common variants of the game include Super Stud Poker and 3 Card Poker. Since the Alea casino is not all about slots or poker, gamblers can also find solace in the variety of gaming rooms on offer. These include a Blackjack room and a dedicated American Roulette room. With such a wide variety of gaming alternatives combined with an ample source of food and drinks, the Alea becomes one of the most complete casinos in Nottingham. To gamblers who are interested in playing a wide variety of casino games in a sitting, the Alea if a perfect destination. Even though it could be biased to poker games and has a notably inferior game variety catalogue, the fact that it handles the few games on offer, the food and the drinks in an amazing way is enough a reason to bank with this casino. Visitors driving their own cars will find the large secured parking space a good bargain since your mere presence in the casino will win you space on the parking lot. To those who prefer taking the tram, getting off at the Royal Centre and a less than three minutes’ walk along the Upper Parliament Street is all you need to get to the Alea.